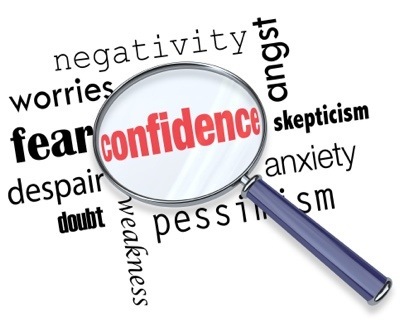 Today I am thankful for confidence. Confidence is something that I hold very near and dear to my heart. Why is that? Because it is something that I have fought long and hard for. I do not know about others, but confidence is something that did not come naturally to me. Growing up I often felt as though I was on the outskirts of the world of beauty, intelligence, physical prowess, whatever the case may be. Now let me clarify what I am saying. By no means am I saying that I thought that I was unfortunate looking, unintelligent, or that I lacked the ability to do anything. It was just that somehow I seemed to always play down my own abilities and qualities while simultaneously playing up the abilities and qualities of others. And I did this so frequently that I eventually ceased to even be aware of the fact that I was doing it. Yes, it absolutely crushed my spirit, and caused me to settle for various types of treatment that were less than what I deserved. And the most notable aspect about this was that it was entirely self-imposed. My loved ones always spoke of my beauty, intelligence, and impressive capabilities (and still do), as did many people who did not even know me. But somehow I latched onto the idea that I was less, and that because of that I did not have the right to expect the things that I deserved, but everyone else did. As I have grown older, through the help of God, very wise counsel from those whose opinions I trust, and a lot of introspection, I have come to realize that the area in which I was actually lacking was confidence. So, with a lot of hard work and effort I have increased my confidence to a very healthy level by changing my thoughts, giving myself positive reinforcement, and making it a point to expressly note and appreciate the many good qualities that I possess, the things that I do well, etc. And for that I am eternally grateful.